Hayle is nested on a beautiful estuary at the edge of St Ives Bay in West Cornwall. It is one of the first towns in Cornwall to be awarded “Walkers Are Welcome” a status which is associated with maintained and well-­‐marked footpaths and trails. With plenty of rugged and rural countryside landscapes, Hayle is an ideal place for visitors to pull on their hiking boots! Fancy a trip to paradise? 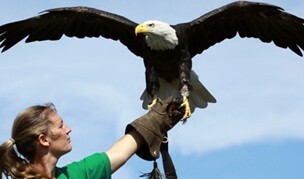 For nature enthusiasts and bird-­‐lovers Paradise Park is a fantastic shout for a great day out. As well as having birds of paradise this award-­‐winning wildlife sanctuary is also home to animals you don’t get to see every day; red pandas, otters and penguins are just some of the non-­‐flying animals living here. The park was opened in 1973 by Mike and Audrey Reynolds for him to house his ever-­‐expanding collection of exotic birds. As time went on the situation for many species of birds around the world became more and more perilous and the park became a conservation area for many endangered birds. A day here can include a walk around the park to view all the animals on-­‐site, live bird shows, a soft play area and there is also a café and a pub on site. The South West Coast Path runs all around the coast of Cornwall and offers up a stunning walking along the coast of Hayle Beach, Gwithian and Godrevy point through to the jaw-­‐dropping Hell’s Mouth. 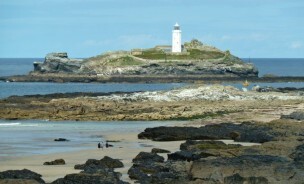 As you arrive at Godrevy Point you’ll be able to view the famous Godrevy Lighthouse which can look equally as impressive on a sunny clear day as it does on a stormy day. If you keep walking around you’ll arrive to a look out point where you can view the seals sunbathing on the beach below. Your final destination on this walk would be Hell’s Mouth. It’s not as scary as it sounds and it boasts beautiful views of the ocean from its cliff-­‐top path. You can stop off at the Hell’s Mouth Café to refuel. The journey can take around three hours. From Hayle beach through to Godrevy Point is the famous “three miles of golden sand” which can be walked in its entirety when the tide is out. With this stretch of beach comes a surfer’s paradise, as there are plenty of waves to ride! Situated on the north coast of Cornwall, the beach at Beachside offers both learners and those with more experience a fantastic time in the water. Our on site surf school offers affordable surfing lessons throughout the summer for those looking to learn the rules of the waves. Surf lessons are delivered by surfing GB qualified instructors who will guide you through from lying on the board to carving the waves. To find out more information about our surfing school and tariffs, please visit our surfing page. With an estuary running through Hayle the area is a hot bed for nature enthusiasts. There is an RSPB bird watching hut located in Lowdowns in Hayle and if you follow the trail down you’ll be able to look out into the estuary from the bridge. The walk runs down the estuary on both sides down to the sea. 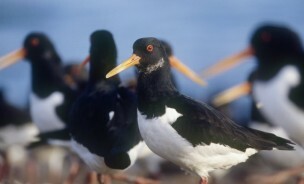 You’ll be able to spot herons, a variety of gulls, curlews, oystercatchers and more.